Part of the G&H Flat Plate range. The plate is just 1 mm thick, we recommend all wall boxes are sunk into the wall to ensure a flush fitting. The plate is made from brass and powder coated matt white. It is a slight off-white not bright white. 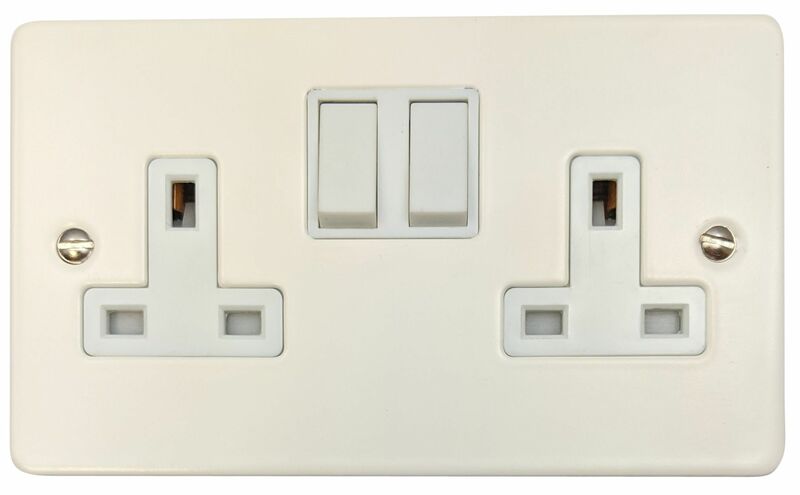 G&H Brassware are a UK manufacturer of high quality switches and sockets. All G&H plates are manufactured to the highest standard from solid brass or steel and are covered by a 1 year guarantee. All plates come supplied with two screws coloured to suit the plate. The entire range fits into UK standard wall boxes (see below for depth recommendations). Push on/off and turn to dim. LED: 1 to 10 LED bulbs (max 120W). 300W max load if used with halogen bulbs. These are empty designed for modular inserts to clip in. Required back box depth: Depends on module type. All purchases are covered by a full manufacturer’s warranty and are covered by our 30 day return period for unwanted products (please see our delivery and returns section for further information). All prices include VAT.